Four years ago today, on March 23, 2012, The Hunger Games hit theaters, and the world was never the same. Mockingjay pins, Rue’s whistle, Jennifer Lawrence, and Katniss Everdeen were all anyone could talk about. It was so popular that not having seen it or read the book made you instant living-under-a-rock material. For people like me, however, the journey started long before that. In 2010, my aunt and cousin changed my life. My aunt, tired of telling me about The Hunger Games, simply bought me a copy and sent it to me for my birthday. 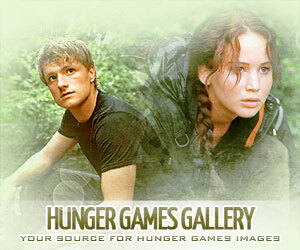 The next year, my cousin, Jabberjay Jennifer, told me about a staff opening at a popular Hunger Games fansite. I applied, and a month later, I began a rather scary addiction when I posted my first news story on Mockingjay.net on June 26, 2011. It was a post about Russ Bowen’s (ha ha, remember him?) latest batch of unauthorized set photos of Mellark’s Bakery in North Carolina. It was the start of a fansite “career” that would last almost five years. 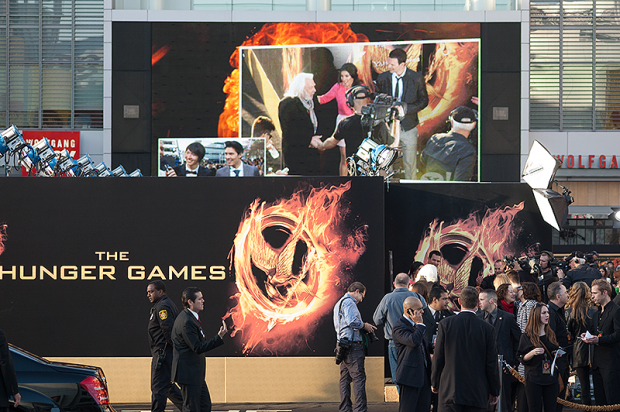 In 2014, I went to the premiere in LA, sat in the same theater as Neil Gaiman, and watched The Hunger Games go by in what felt like 20 minutes tops. Over the next three years, I made a lot of friends, my “Peeta Pals” as my husband called them. Friends from other fansites, friends from Hunger Games Fireside Chat, friends in staffers such as Ciara, Carla, Tash, Erin, Hannah, Cory, Luan, Jared, Sarah, Natalie, and Vivien. In 2013, I finally got to meet Tash, Ciara, and Erin at SDCC. It was only a few days, but they were exhausting, special days. It took some serious mountain moving to get us all there together, and it’s a time I’ll never forget. 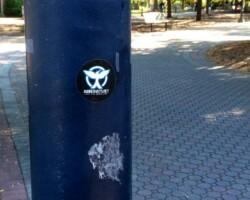 As some of you know, myself and those named above eventually left to start Jabberjays.net. 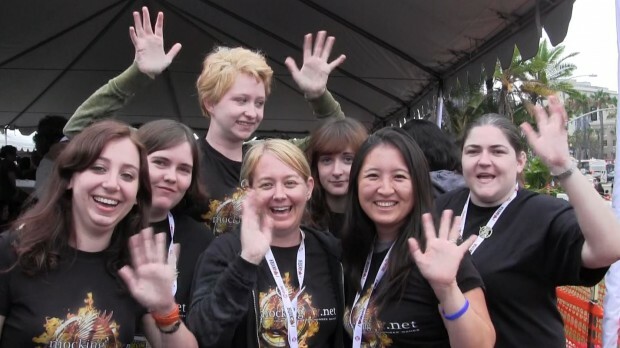 We officially launched the site on March 1, 2014 and have been loyal tributes to the end. We told everyone to join the rebellion, and even President Coin got on that! We’re clearly very dedicated people, and all our Jabberjays, new and old, have done their part to make this site the experience it is, from Cory’s videos to Luan’s graphics to Hannah’s Instagram posts to our super twin duo Jackson and Jared. 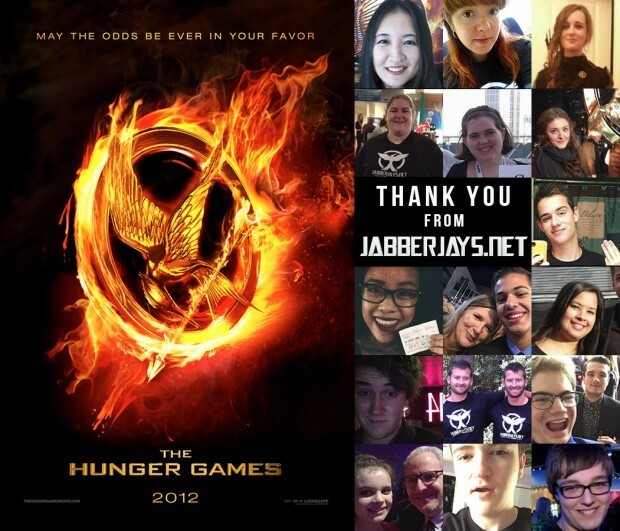 Fans like Jabberjays Zack, Ronnie, Phil, Jennifer, Grant, and Shannon all put their love for Panem into this site, making it what it is today. There aren’t enough words to express how grateful I am. With the DVD release, things really feel like they’re winding down. The journey coming to an end. Each of us slowly making our way to different areas of Panem to go on with life after the rebellion. I know you guys, our readers, can feel it too. It’s sad, really, but it feels good as well. We’re no longer tied through the movies or the books. We’re now all connected to each other. The fire really will burn forever. This summer, Carla, Hannah, and Tash will be flying to Hawaii, and we’ll be having ourselves a little Jabberjays.net retreat. I’ll cook us some lamb stew with dried plums. We’ll go see the Catching Fire beach. Take a look at the mountains that formed the arena. 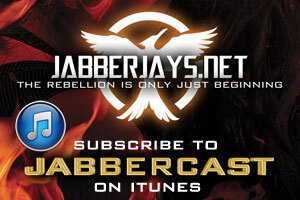 We’ll share photos and videos and record an in-person JabberCast. We’ll be the friends that distance and oceans have never let us be. It’ll be the first, but hopefully not the last. To our Jabberjays readers, thank you for spending your fandom time with us. You made our experience richer and filled with laughter as well as deep conversations about the right and wrong in life. We hope you got as much out of it as we did. Wherever you go from here, may the odds be ever in your favor.